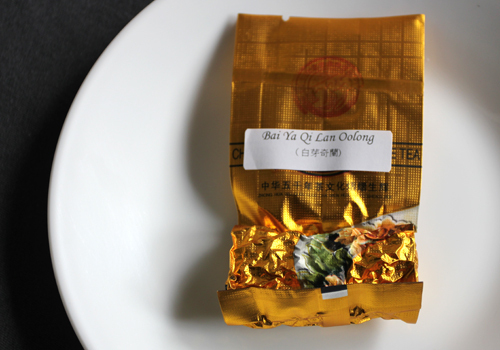 Oolong is one of my favorite types of teas, and I’m always delighted when I find an excellent tea like this thanks to Life in Teacup, which has a tremendous selection of teas which are always at a consistently high quality. 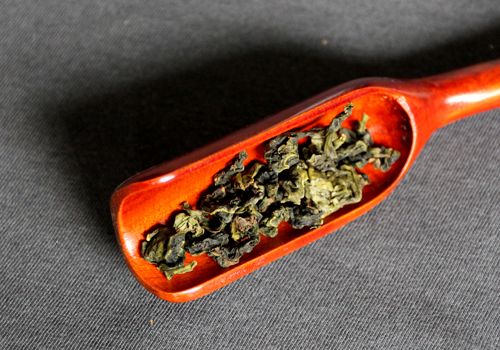 One of the reasons why I like oolongs so much is that each oolong can be so different. This particular tea is quite green. The dry leaves are already promising, with a deliciously fragrant and floral smell. The tea leaves are large and irregularly sized loose bundles of dark green. After a minute of steeping, the tea smells very floral, sweet, and has no trace of bitterness or astringency. The tea leaves unfold to show large, full mature leaves in a bright yellow liquor. They are a dark olive in color. After 3 minutes of steeping, the tea has deeper to a darker gold. The flavor has intensified – sweet, floral, slightly nutty – with a sweet and lingering finish. This tea is delightful and satisfying, definitely something that I could order and try again. The tea holds it flavor well through further steeps, imparting a flavorful cup while losing its initial flowery taste. An excellent oolong and another great tea, thanks to the generosity of Life in Teacup! Visit Life in Teacup’s website to purchase.